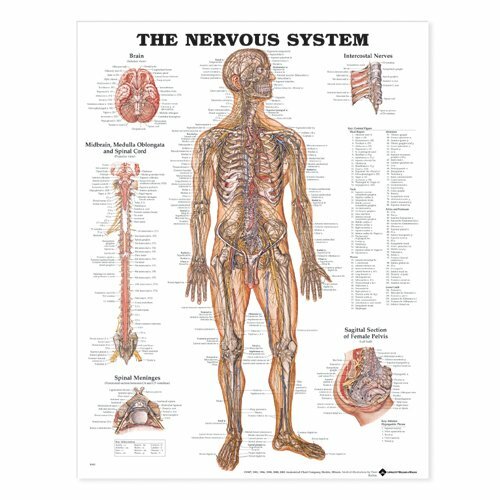 A classic illustration by Peter Bachin of The Nervous System, this chart shows in fine detail the nerves and their pathways in the body. The central figure is extensively labeled and shows the skeleton, major arteries, veins and nerves from head to foot. Also includes detailed illustrations of the: brain, midbrain, medulla oblongata and spinal cord, spinal meninges, intercostal nerves, sagittal section of female pelvis.